Awards, fame, wealth Bono has it all. But the biggest rock star in the world has something more important, which has guided every step of his success: faith. From growing up in Ireland during deadly times to performing on the largest stages in the world, Bono's beliefs have kept him grounded and focused on what truly matters. His humanitarian efforts have earned him many awards, including an honorary knighthood and a Noble Peace Prize nomination. This updated edition includes the latest updates on Bono, including the injury that resulted in cancelled tour dates, and his latest foray into Broadway. Whether using his voice to captivate an audience or fight for justice, Bono is a champion of the lost and a hero to those who long for harmony. 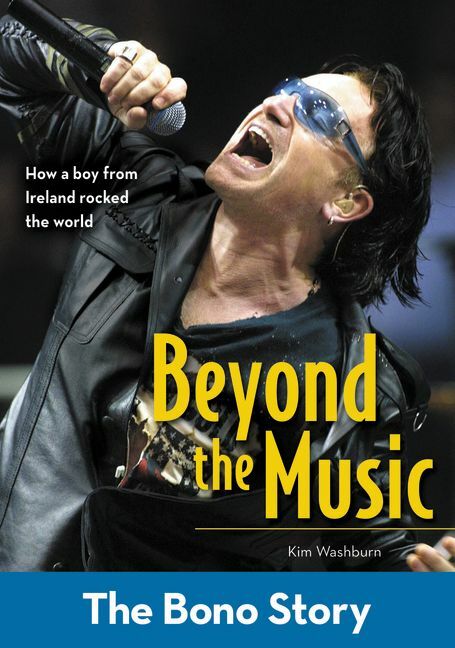 Beyond the Music: The Bono Story by Kim Washburn was published by Zondervan in August 2013 and is our 26123rd best seller. The ISBN for Beyond the Music: The Bono Story is 9780310738381. Be the first to review Beyond the Music: The Bono Story! Got a question? No problem! Just click here to ask us about Beyond the Music: The Bono Story.